16 December 1940. 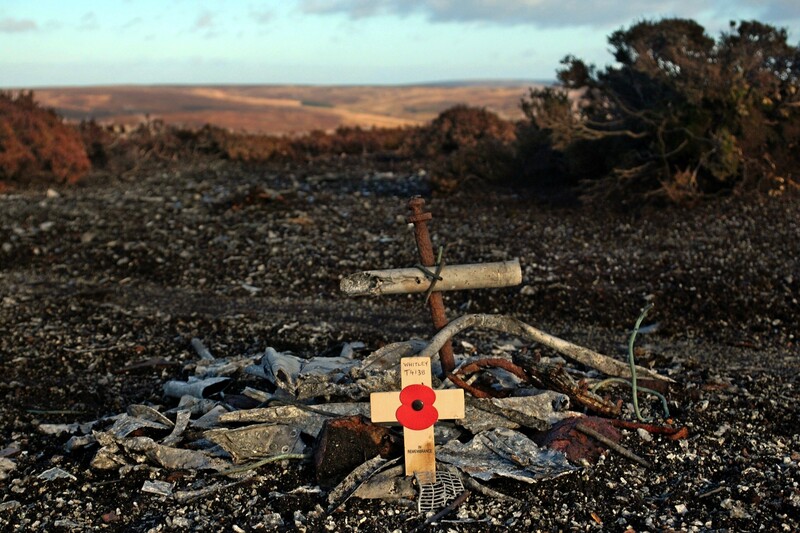 Whitley T4138 crashed on Arden Great Moor (in the North York Moors) after an aborted bombing raid on Berlin. The aircraft had developed engine trouble and was returning to base at RAF Topcliffe in poor weather but for some reason was circling the air base. 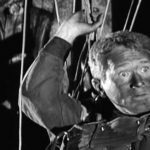 If the bombs intended for Berlin were still on the aircraft that may have had something to do with why the aircraft did not land immediately. An aircraft flying on one engine in poor weather and with high ground close by sounds like an accident waiting happen. 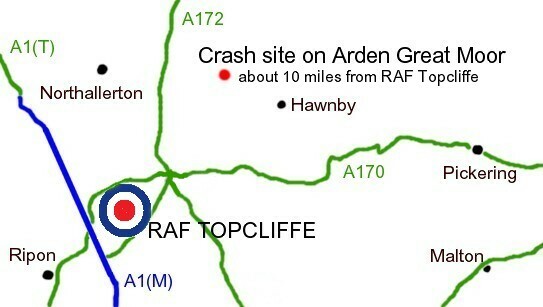 One source says the Whitley was not circling RAF Topclife, but was on its return to the base when it crashed. 4 of the 5 crew on board survived though were injured but Sergeant Williams was killed in the crash. Below; rough map by me. 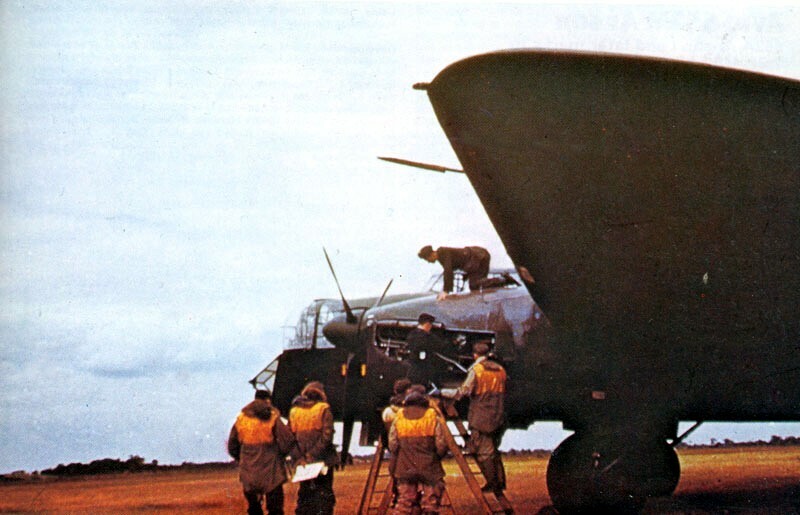 Below; a couple of period photos showing an RAF crew dealing with an engine problem before boarding their Whitley bomber. 10 miles or so from base – really not very far at all considering travel in a straight line with no traffic impeding .. not fun at all, with an engine out, in the dark and over moors. 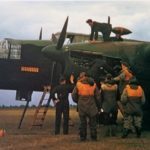 1940 was still really early in the piece as far as bomber command went, and I guess that meant experience levels would be quite low, also less chance ‘tales of experience’ from those that had done similar and survived – either way, returning to land with bombs on board would be incredibly risky, for the aircraft and the ground crew! 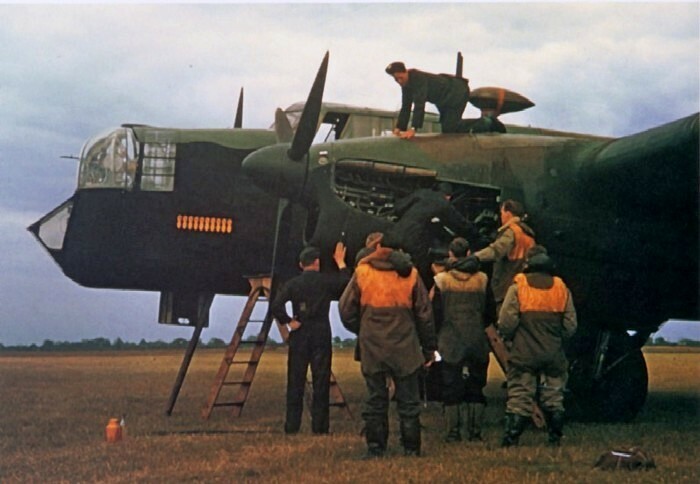 That four of the five crew survived suggests the aircraft was ‘put down nicely’ enough .. though your image of the remaining wreckage certainly doesn’t suggest this!! It’s a great shot btw, the grey of the earth really adding the impression of possbile fire. 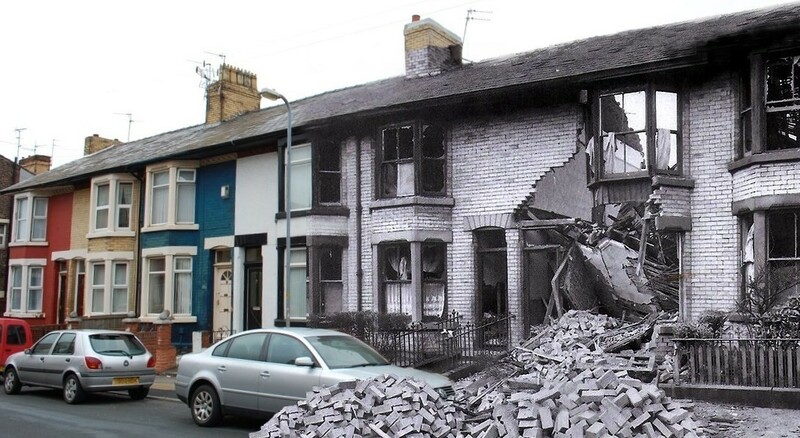 I wonder if the bombs detonated at all? I guess not, giving the survivors. Well done, pilot. Amazing those two era shots, with the engine cowls away and flight crew standing by! I am not certain the bombs were on board Ang, though at that time crews were still returning with them, it’s true. Ah my apologies, read properly this time. I see the IF now. It is a very poignant site . As ever the amount of wreckage is not what gives impact to a site ….its all in the story …..and this one with a mission return is stacked with story . Sad that one crew member died but remarkable that there were any survivors in the first place! Few aircraft are able to land with a full bomb load and fuel so I would assume the bombs were dumped into the sea and the pilot then burnt off fuel before attempting to land. I would also be surprised anyone survived if there had still been bombs on board and if they exploded in the crash.